I was commissioned to design the packaging, in-store visuals and posters for Godiva Chocolate’s 2017 Valentine's Day packaging. Vertical poster for in-store use. 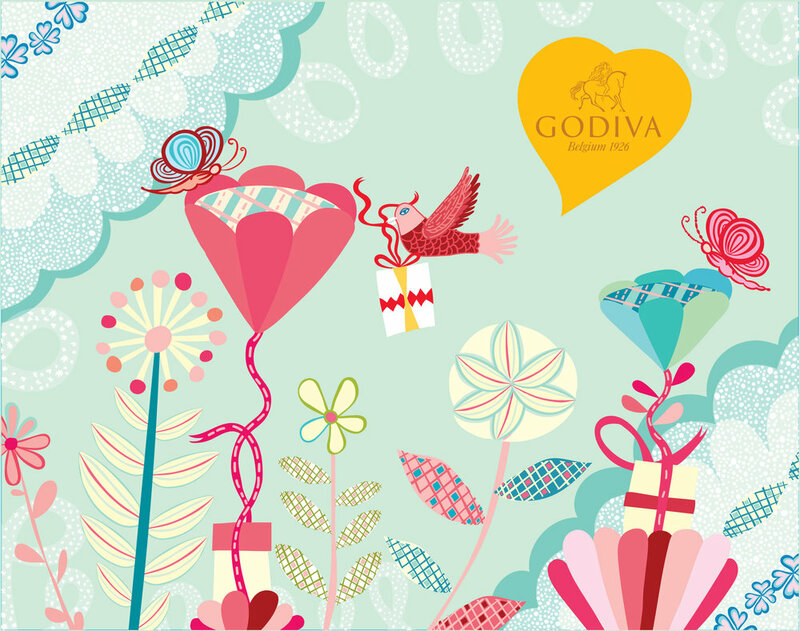 I was commissioned to design the packaging, in-store visuals and posters for Godiva ChocolateValentine's Day packaging. I was commissioned to design the packaging, in-store visuals and posters for Godiva Chocolate 2017 Valentine's Day packaging. I was commissioned to design the packaging, in-store visuals and posters for Godiva Chocolate 2017 White Day packaging, celebrated in Japan one month after Valentine’s Day.